Easter arrives April 21st this year and it’s a great time to visit Daytona Beach for some rest and relaxation after the long months of winter! Play a round of golf, spend time on the beach, go kayaking, explore the Daytona Beach boardwalk! This spring - take a city break and enjoy Nautilus Inn ahead of the summer months! We have everything your family needs for a fun-filled Easter weekend. Get away to the “World’s Most Famous Beach” and enjoy our tropical spirit – situated in the heart of the world-renowned Daytona Beach resort area. Our beachfront hotel offers a full range of amenities, including our beachfront swimming pool, whirlpool and complimentary deluxe breakfast. 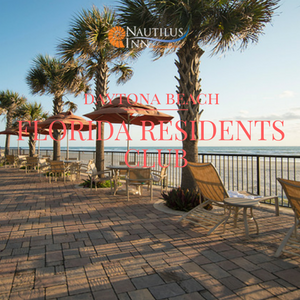 Join us at Nautilus Inn each afternoon as we celebration with our guests another beautiful day on Daytona Beach with our complimentary cocktail hour, daily at 5:00 PM. Let Easter vacation planning begin! 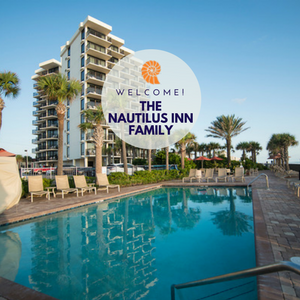 Located within a short distance of the area's most popular attractions and Easter Sunday brunch destinations – Nautilus Inn is more than a relaxing beachfront hotel. Families will love staying within close proximity to the area’s best family-friendly destinations. Ocean Walk Shoppes features a variety of restaurants, shops and a movie theater – perfect for a family break from the beach. The iconic Daytona Beach Boardwalk is a fantastic spot to spend the afternoon playing classic arcade games, riding amusement rides and exploring the boardwalk’s incredible views! Take full advantage of Easter weekend and book your vacation with our great Spring offer! From our selection of Daytona Beach hotel rooms, best-in-class Florida vacation values and exciting options for the ultimate Easter vacation - you'll quickly come to understand why the Nautilus Inn is a TripAdvisor Certificate of Excellence award winner and consistently one of TripAdvisor's top ten hotels in Daytona Beach - the perfect place to make family vacation memories!